I'm now the proud owner of a bamboo steam basket. 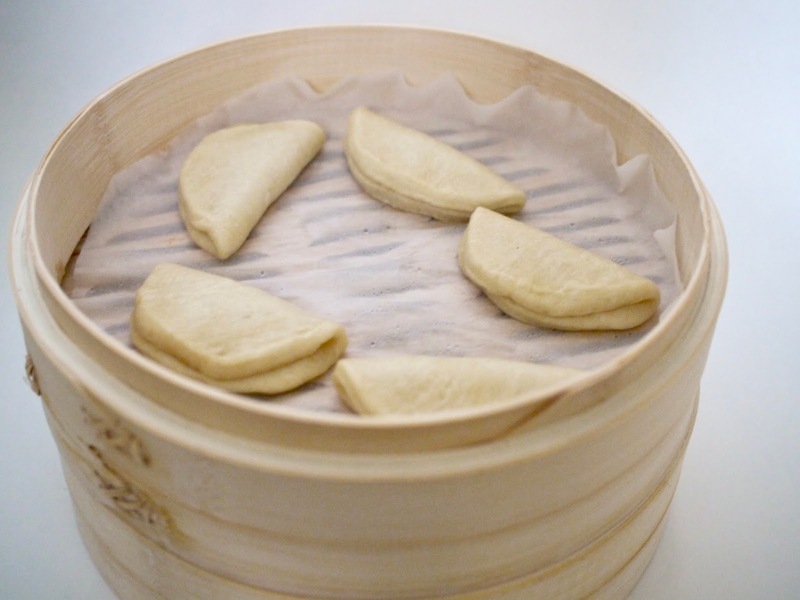 After my dumpling making last month, I felt the urge to make all sorts of dim sum and ordered accessories for future projects: the basket as well as a cute rolling pin. My first project with the steam basket was making bao buns. 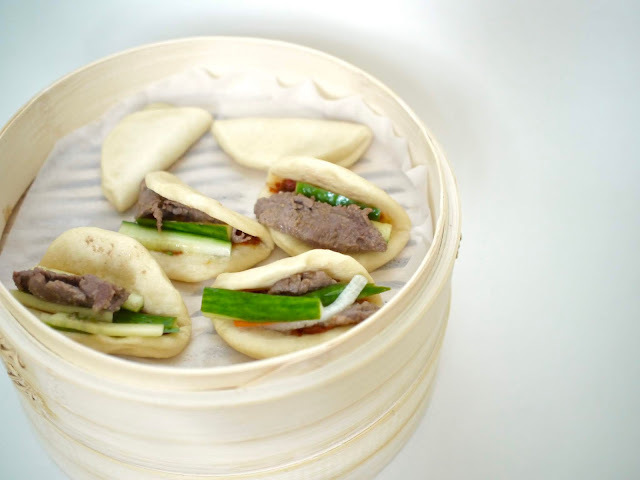 I love how pillowy and soft bao buns are and how they serve as a perfect vessel for yummy fillings. I decided to make them Korean by using bulgogi and ssamjang (spicy sauce). And since baos are served with pickles, I made a quick cucumber pickle to add a pop of brightness to the buns. 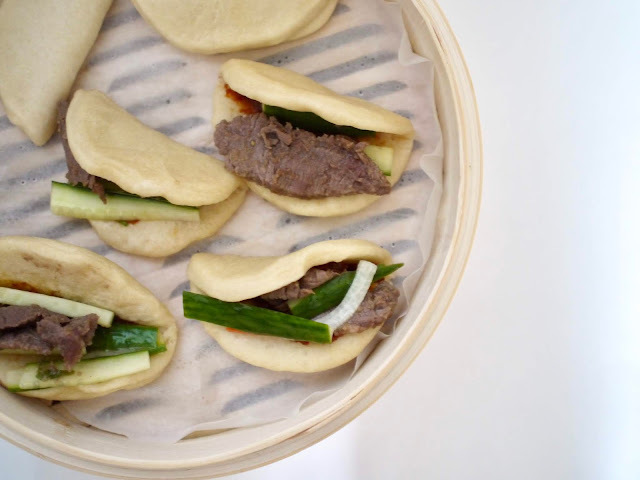 It does take some time and patience since bao buns are a yeasted dough. But once they've risen and have been rolled out and formed, they cook in no time in the steam basket.